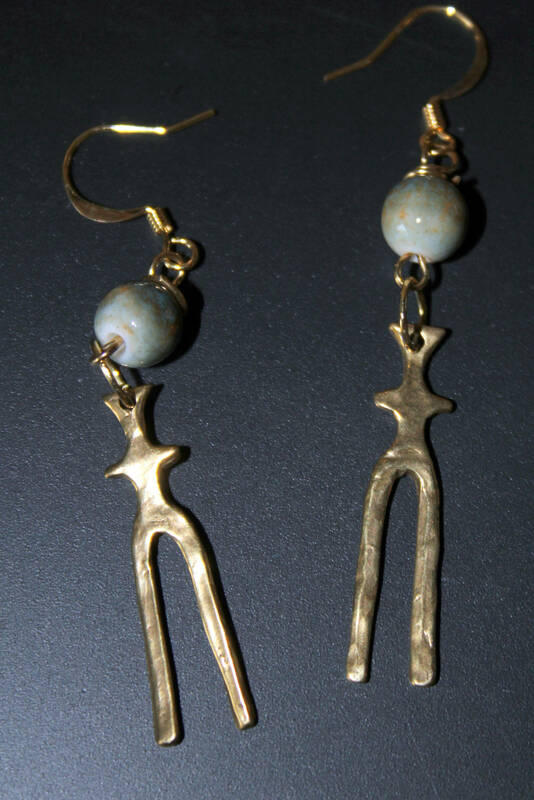 These earrings are made with two "skinny" goddess figures based on Galician(Northern Spain) petroglyphs. They are made from cast brass and have a warm glow. 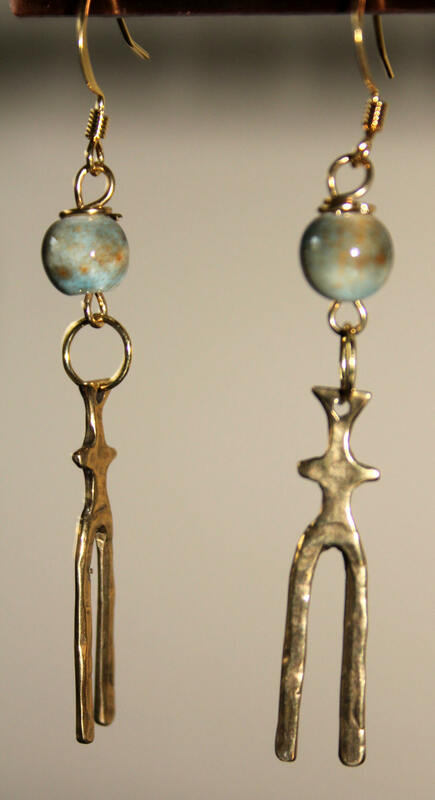 They are hung from round earth toned glazed ceramic beads that have shades of aquas, tans and blue greens. The French wires are matching brass and are hypoallergenic. The earrings are light and have lots of movement. The earring is about 2 1/2 inches long from the top of the hook to the bottom of the goddess' feet.